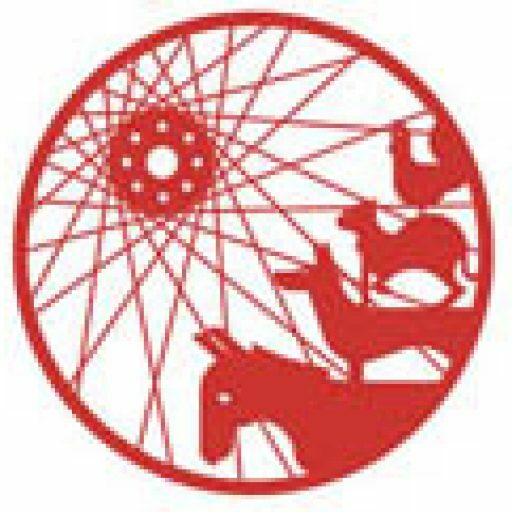 We interviewed Jutta Kirsch from Cambio Bremen about their work, and the challenges they face. Of course we wanted to know how cities can benefit from people sharing cars. You use both private land and public road space for your stations? Right now 30% of our stations and also 30% of our parking lots are on public ground. A “mobil-punkt” is on average as big as a cambio-station on private areas. 7 out of 10 cars are parked on private properties. Why do you need parking on public roads? This is really important, if you want to develop CarSharing further. Especially in those areas, where Cambio is well established and could expand further, private spaces to rent are extremely rare. That is a sort of a double bind: These are the quarters, that suffer most from saturated car parking, and really need CarSharing more than others. And cars (for sharing) parked publicly, especially at the side of a road, can be found much easier. So people are more aware of it, they get curious, if they are not yet a user, and it makes it much easier for actual users. It is very difficult to get to our cars in some backyards or a multi-storey carpark. 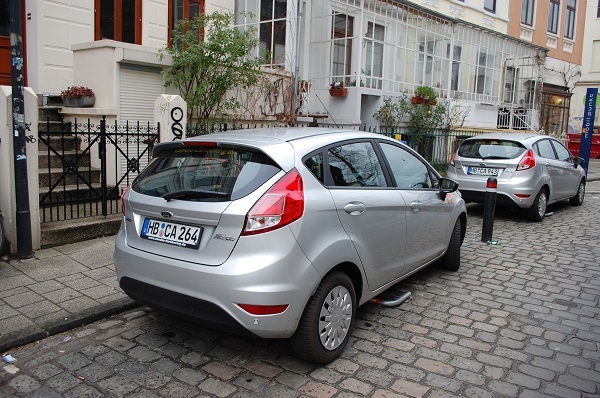 What sort of impact does CarSharing have on the parking situation? Any figures? In an opinion poll amongst our clients last summer we found out that every Bremer Cambio car replaces 13 private cars, because they were either sold or never bought. So in Bremen we replaced 4,000 private cars by 310 shared vehicles. That varies from area to area. A station with two cars in highly populated Bremen-Steintor. These two cars can replace 40 private cars. A study done by Infas in 2016 did some research in urban quarters, where a well developed CarSharing system has been in place for a long time. Here one CarSharing car replaced 20 cars. So, there are a lot of opportunities still to be exploited in other areas of the city! There are not very many stations in suburban areas. How do you develop your network generally? First of all we extend existing stations by renting more parking spaces to add to them. Second we open more stations in well developed urban areas. Third we then extend our system to suburban quarters. We need a mixture here, because new stations in suburban quarters need a long time to be cost-efficient. Until then they are partly financed by profitable stations in the centre. The balance has to be right. In the last year we extended to the Vahr, Woltmershausen and Kattenturm. And we closed the gap between Horn and Borgfeld. Right now we are looking for spaces in Bremerhaven, Bremen-Nord, Huchting and Überseestadt. We hope to get there during this year, but we are not sure. Why are there still so many people who insist on their own private car, though they hardly use it more than once or twice a week? These cars are just idly sitting around. When money is not important, when you always get a nice space for parking in your street, when you have a car, that hardly ever needs repairs – then it is very easy and flexible to use it any time. You got your favourite music running, your picnic blanket is in your boot or whatever you would like to use whilst you are travelling. Though with young people things are changing. Some of them have known CarSharing all their lives, as their parents decided to use it. For them their own private car is not so crucial. What would make it easier for people to sell their car? What are the advantages for me if I go CarSharing compared to my own car? Well, without your private car you save a lot of money and time. No MOT, no car washing, no changing of winter wheels, no payment for insurance, no regular inspection of your car. Instead of all that you have a guaranteed parking space, that is always unoccupied when you come back. With many people signing their contract with us, you can see it taking the weight off their mind, when they get rid of all these things. Of course it is important to have a reliable supply with stations that are easily accessible. It also helps to have good public transport and the possibility to cycle wherever you want to. We are lucky in Bremen when it comes to that. 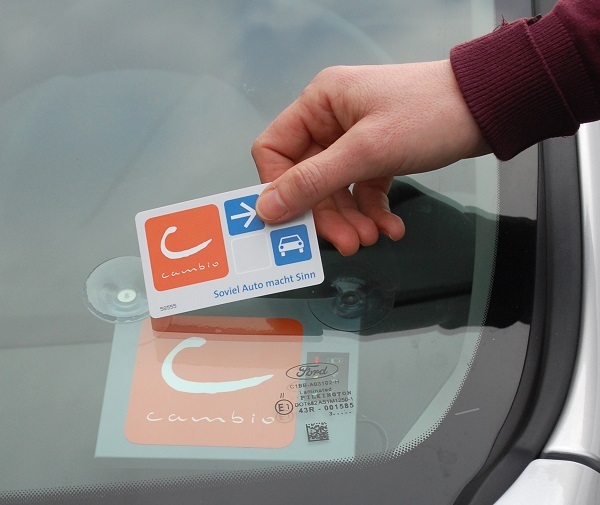 Why does Cambio stick to the system of cars available only at stations, why not offer free-floating too? That has a lot to do with logistics, with cost and that we want to offer a real alternative to your own private car. If you want to offer a fully functioning system of free-floaters you need a lot of cars. Because as a user you don’t want to get a car by chance. You want to rely on finding a car where you need it and when you need it. To achieve this density of cars, free-floating companies tend to only offer one model, and they insist that the car has to be given back in a tightly defined, small area. And whilst you are using this car, the money-clock is ticking all the time – like a taxi. Transporting large loads, holidays, families needing a child seat or a relaxed visit to your friends out in the country are not possible. Our system is much more reliable, diverse and the better alternative to your own private car. When are you going to convert your fleet to electric cars? As soon as people are ready to pay the extra cost. Our price system doesn’t help here, and our clients are not ready to pay more for an electric car than for a conventional vehicle. 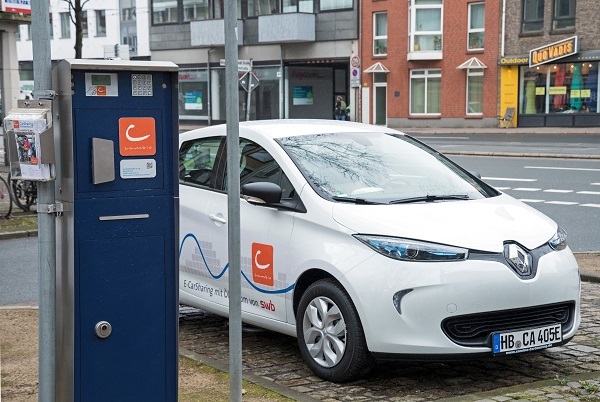 We want to run our business properly and that is why we offer electric cars only in cooperation with partners who offer the charging infrastructure. 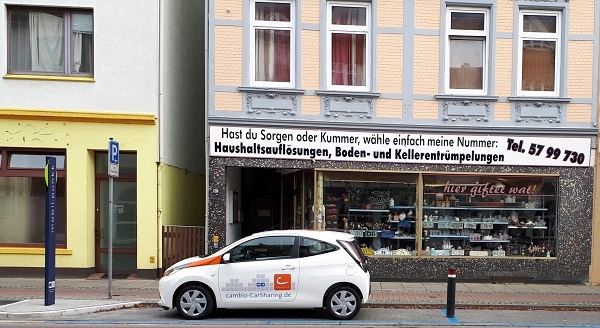 Cambio E-Car-Sharing, Birkenstraße in Bremen. With our local energy provider swb we are able to offer electric cars at four stations. Here our users can easily get to know and love Renault’s E-Zoe. The feedback is very positive. 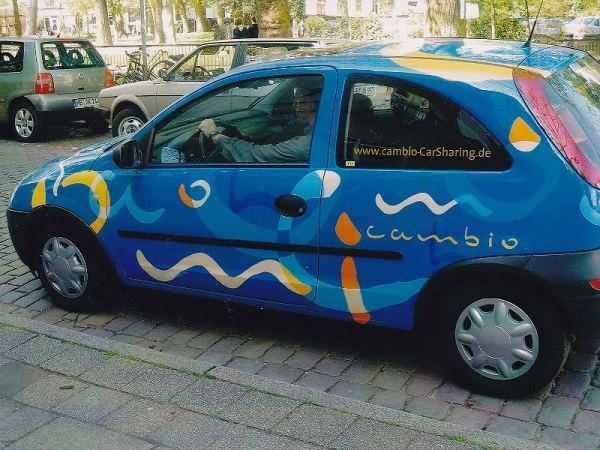 A recent study (in German) will tell you more about CarSharing in Bremen. And here is my own personal experience with sharing cars for more than 20 years (in German sorry folks).